There’s a mindset that runs a mythical story asserting that one’s “accomplishment” of awakening, and the attendant ease of well-being, is negated or compromised by any experience of being unwell. Beware of these myths! Awakening is never “accomplished” or attained. It is simply a system-restore to the Natural State. The Natural State – I call it wild wideawakeness – has no preference whatsoever for what might be being experienced by the body or the mind. It remains the essential experience, enabling and infusing all others. Its impartiality – and re-cognition of this – is what dissolves suffering and enables well-being – regardless of the passing play of one’s life. Well-being does not depend upon being well. It’s true that the more unshakeable one’s well-being, the more sensitive the organism becomes, bringing understanding and prompting changes that may lead to less physical and mental dysfunction. But well-being remains unaffected. Period. I have been with frail, aged folk in heart-wrenching discomfort and pain and fully aware of the approach of their end days, who were aglow with well-being. I have been with myself during debilitating illness, pain, grief. At these times the litmus test for the extent of my freedom is a little inquiry: am I suffering? And I have to say no; I can no longer find a solid-state ‘person’ here who could own a story about suffering. If there is illness, no problem – I’ll seek help, I’ll take the medicine, but I won’t suffer. Well-being is the Natural State. The Natural State is what one is. Because the Natural State is ever-present and inescapable, accepting the entire array of experience without question, I’ve come to know it as Love. Love Divine. Whatever you call it – God, Divine Presence, Love, Suchness, The Great Perfection, Beloved – you are naming yourself and the entirety of your experience. 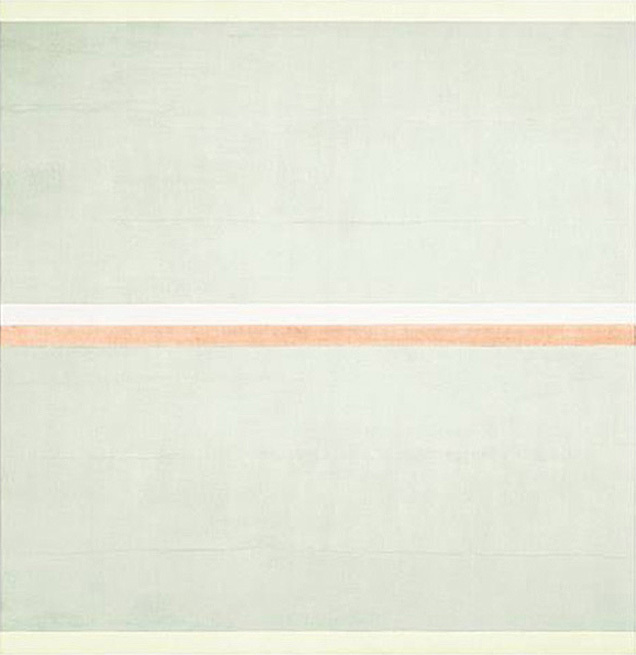 Painting by Agnes Martin, Gratitude, 2001. Courtesy of the Tate Gallery, London.